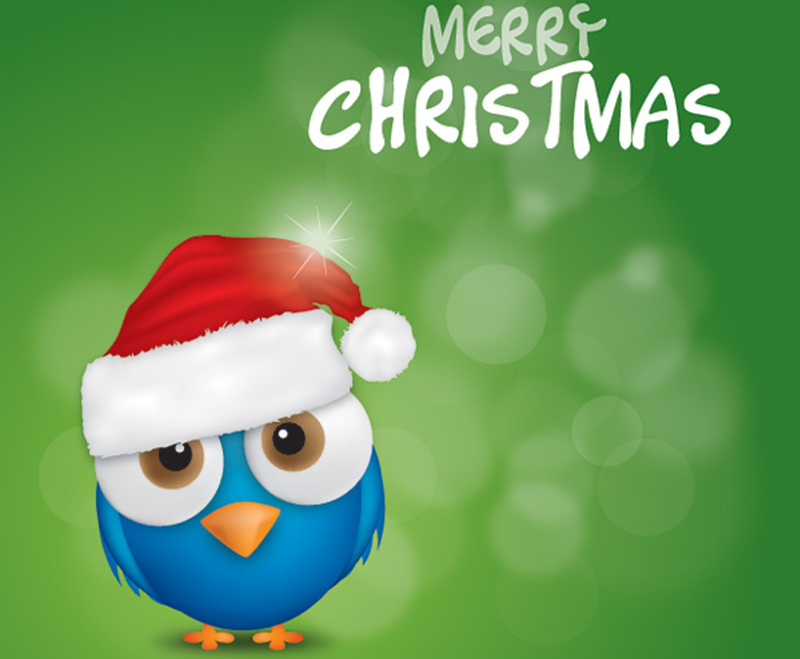 This holiday-themed design features an adorable bird and a friendly Christmas greeting. The bird's large, light-brown eyes seem to burst out of the image. It's an exceptionally cute Christmas mascot, and its richly detailed Santa cap perfectly demonstrates the spirit of season. The upper right hand side of the image bears the words "Merry Christmas" in a fun, comic-like font. Blurred sparkles surround the bird and the text to draw the viewer's attention. Thanks to its careful balance of cuteness and simplicity, this colorful background makes for an excellent addition to a website or newsletter.